For two and a half years now, a development on Block 33 — a full block of surface parking in Chinatown at Northwest Fifth Avenue and Couch Street — has waited for the maximum allowable building height to be increased in order to move forward. Chinatown-Japantown design criteria included in the Central City 2035 Plan would have increased the height maximum, and was initially expected to be in place by mid-2016 at the time Block 33 designs were first initialized. Then, the proposed heights changed and the Plan was delayed. Last week, Block 33's development team went to the City Council to propose an amendment that would allow the project to move foward, after $1 million spent in the City's permitting process over re-designs, construction inflation costs and hearing fees. and exempt Block 33 from further Historic Landmark review. The final vote is scheduled for April 4. This comes after the City's permit process blocked or stalled development plans for the Chinatown-based Tuck Lung building, Wong Laundry and the New Omni — designed by Ankrom Moisan Architecture, which would have included Inclusionary Housing — and stalled the Grove Hotel on Burnside due to height as well, a Naito Development project. There's the Design Commission denial of Landon Crowell's Ankeny Apartments, which were approved by City Council after four hearings, five design reviews and a cost of $800,000 from Crowell's pocket. There's also the tentative hold on the Fremont Place Apartments in the Pearl, which comes back for a final vote in April as well. The City has been attempting to mitigate the overflow of applications coming in during the building boom with projects such as the Design Overlay Zone Assessment (DOZA) to streamline the permit process, which is currently being implemented one step at a time, and the remodeling of the Bureau of Development Services for better internal use and public flow. 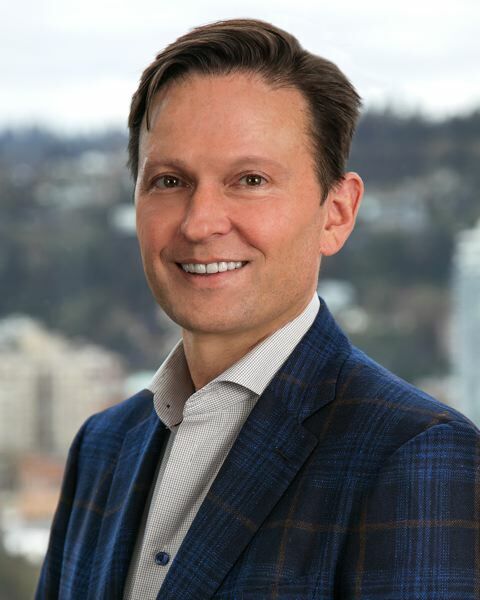 Tom Brenneke, president of Guardian Real Estate and the current developer and property owner of Block 33, spoke exclusively with the Business Tribune. His team bought the property in 2016 when the zoning designated 150 feet in the proposed Central City 2035 plan. Brenneke told the Business Tribune so far, his team has spent $1 million for hearing fees, redesigns and other costs during the permit process. "Suddenly, it went to 125 feet and I don't know why, there was no conversation, no nothing, we were basically told it was 125 feet," Brenneke said. "We got assurances it would stay there. It was only 25 feet (difference), and we started our systematic design. We went a long ways down the path, lots of architectural designs, we got to 100 percent (schematic development), and along the way we were actively involved in design guidelines with the neighborhood and participated in that whole process." They were in the process of looking at adding Multiple-Unit Limited Tax Exemption (MULTE) affordable housing to the design when they learned about Inclusionary Housing, so they sped up to rush their permit in before the February 1, 2017 deadline made it mandatory. "Now, we've put the whole application in, we got it all done, the only thing we didn't do was height: we used all the FAR available, basically told the City we were going to go ahead and leave the height off, but essentially ended up at 125 feet," Brenneke said. "We left it off the application, since technically it was not allowed yet," until the City Council passes the expected new height allowances in the CC2035 plan. They planned to wait for the CC2035 Plan to be approved before coming back and specifying the height at the new allowance of 125 feet. "But it wasn't that plain and simple of course: once the City took the application in anyway, we spent time with the Mayor's office and others effectively lobbying to ensure we could keep that application moving," Brenneke said. "Long story short, the BDS and BPS groups decided against processing our application and ultimately we withdrew the application about two months ago. We had to withdraw it, they basically forced our hand." The Bureau of Planning and Sustainability's position was that Block 33 was asking for an exception: to be the only block with a raised height allowance, when the rest of Chinatown's had been lowered — even though both expectations cwere based on the CC2035 Plan, which still hasn't been finalized by the City Council. Currently, it's expected to be voted on in May. "The BPS position was that it wasn't fair, we weren't going to be treated as an exception, but it's certainly ridiculous in my opinion to sit here and have everything cooked and ready to go and then get the height later, and then they say that's not there (anymore) and you want a spot zone (see map on page 5)," Brenneke said. But the Block 33 development team didn't want to give up so easily on a project they believed in for the neighborhood, especially after being $1 million in already. "We are now subject to inclusionary zoning. Obviously, costs have risen and etc.," Brenneke said. "We recently decided that maybe we'll just make one more run at it and see what we can get. We know what our neighborhood feels like. If we can get our city focused on housing units — maybe at the expense of additional height without costing anybody anything — can we get this done?" Block 33's development team made sure the neighborhood was pivotal to the designs, asking the Old Town Chinatown Community Association (OTCCA) to support an additional 75 feet of height on the west half of the block, and the additional FAR to support the height. The OTCCA wrote a letter to the Mayor and City Council in support of the development of Block 33, saying it "represents a potentially catalytic development site for our neighborhood." The history of the site includes several stops and starts, including a potential partnership to develop an Uwajimaya market with housing above. 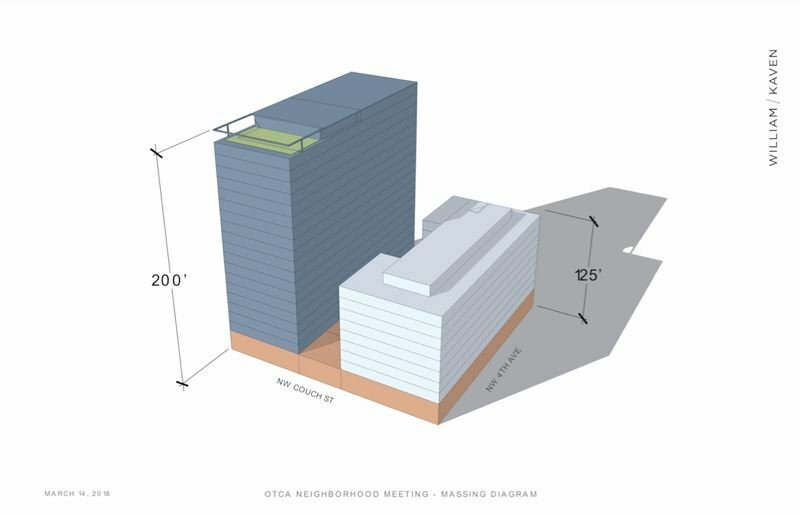 "It was clear that the success of that potential (Uwajimaya) development was dependent on receiving additional height over the currently zoned height limit of 100 feet. All of the preliminary design drawings of Uwajimaya and before, had potential heights between 130 feet to 165 feet across the entire block to make projects financially feasible. Unfortunately, due to the timing of the project along with the downsizing of Uwajimaya, this project never materialized," the letter read. The OTCCA also fought for Uwajimaya to earn additional height and FAR, with the understanding that in return the developer would provide much-needed market-rate and middle-income housing units, and protect and preserve surrounding historic resources in Old Town Chinatown. "We felt so strongly about this that we tied our support for additional height and FAR to the development and implementation of design guidelines for the district. 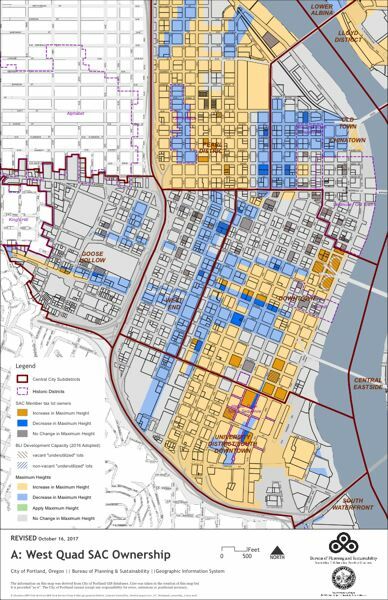 The district now has the adopted new design guidelines and the final draft CC2035 plan gives this block a height limit of 125 feet with a base FAR of 6:1 and available bonuses of 3:1 FAR," the letter read. In today's controversy over the development of Block 33, Brenneke approached the OTCCA about the proposed amendment. "(It) would greatly increase his odds of creating an economically viable mixed-use housing development in the near term. In our discussions with Mr. Brenneke and his design team, we have come to appreciate that rising construction costs coupled with Inclusionary Housing requirements have created a set circumstances that have once again rendered a potential development on Block 33 economically infeasible," the letter read. Although the proposed 200-foot height is more than the neighborhood has ever previously discussed, the association names height as a "consistent obstacle" presented for every development opportunity to date. "We have continually expressed our concerns and disappointment to the City about a variety of challenges we face as a neighborhood. Most recently, the decision to place a new city-sponsored homeless shelter in the neighborhood caused significant concern in our community. We view the development of new housing on Block 33 as a significant step in the right direction," the letter read. The association advocated strongly for the neighborhood's need and desire for housing. "We need a successful, catalytic development on this block and we have a willing, capable developer that can deliver a feasible project with this additional height and FAR. The Old Town Community Association has considered this proposed amendment to the height and FAR for this block and offer our support to ensure that this opportunity is not missed, especially in this construction cycle that has quickly coming to a slow down with inclusionary housing requirements, skyrocketing construction costs increasing interest rates," the letter read. It was signed by 10 members of the OTCCA. Bob Naito wrote a letter on behalf of Naito Development, LLC, which has a stake in the neighborhood in the Grove/Hoxton Hotel just south of Block 33. "The housing crisis in Portland and in (Chinatown) can only be solved by building more housing and the solution in (Chinatown) cannot be solved by adding more shelter beds. The solution requires building more affordable housing—especially housing with social services," Naito said in the letter. "All of us ... have pursued an inclusive vision for a neighborhood of diversity — a diversity not just of mixed-use, but of mixed-incomes and cultural heritages. As the developer of the Grove/Hoxton Hotel on the block adjacent to Block 33, we can attest to the impact of rising construction costs on project feasibility. I believe that our project would not be feasible if we were starting in 2018." He argued the height and FAR amendments proposed for Block 33 are necessary for the project to move forward, without which the block wouldn't see another attempt at further development beyond a surface parking lot for yet another decade. "The board needs to make a strong recommendation to Council to make both the height limit and FAR bonus a right, and not something that is at the discretion of Historic design review. This is a lesson that we learned the hard way with the Grove design review. 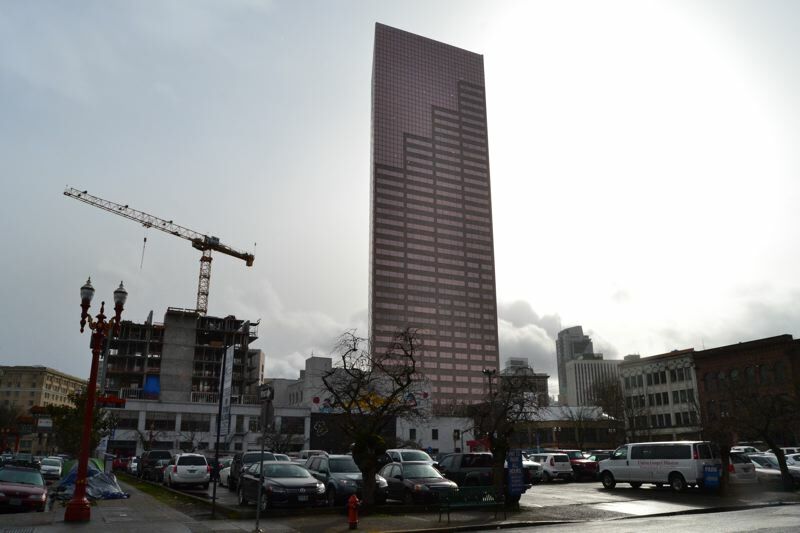 Notwithstanding the fact that a 100-foot height was set in the zoning code, the (Historic) Landmarks Commission spent months over multiple public hearings debating whether the hotel tower should be cut down to 75 feet or even less," Naito said. "The historic review process cost us delay which translated directly into higher costs. Had those commissioners prevailed, there would have been no hotel project at all." Bob Naito spent at least four hearings fighting to allow the height of the Grove/Hoxton Hotel to be kept at 100 feet. "We don't want that. We can't afford that. It's either yes or no, approve or not," Brenneke said. "If it's approved by City Council, then we want it approved by Landmarks. They can have purview over the guidelines, but height and FAR, we want that issue off the table once it's voted on." "Today, between interest rates, between lengthy landmarks processes, the 125-foot height restriction etc., we can't get anything done and we're not going to get anything done," Brenneke said. "I'd like a yes or no." The higher a building, the more cost-effective — and concurrently, the more units a developer can provide. Height restrictions coupled with Inclusionary Housing requirements can ruin a project's ability to pencil out. Brenneke said the inclusionary housing impact on the 125-foot version is more than $10 million. "The construction cost increases are very large, large numbers. We've spent over $1 million on our first effort," Brenneke said. "It was $1 million and it was a significant exercise to get through what we felt was a relatively minor issue. Just think about it — you submit an application, it complied with design guidelines and everything, with the exception that you need that Central City Plan voted at 125 feet that's already on the map. And it does seem so simple from us non-government-types, but no, it's very frustrating." He said they haven't finalized their inclusionary housing ratios yet, but if the amendment were to pass in April for Block 33 to go ahead and move forward with additional height, they'd look at the IH options equally. "There's an argument for the 10:60 (10 percent of the units affordable to households making 60 percent of the median family income) that may be better," Brenneke said. The Block 33 development is estimated to cost between $150-200 million, depending on the height, and also includes plans for private and public parking along with retail along all four sides of the building. "Have you ever seen that invested in one block in Chinatown? No, you have not," Brenneke said. "Historic people need to appreciate the step-down occuring: a 400-foot building next to a 100-foot building, nobody wants that. We have a nice, graceful way of checking multiple boxes here that the historic people should feel good about. They don't, but they should, because we've really worked at it with this neighborhood." The call to action in the proposed amendment is clear. "We're asking that the height and density issue, once voted on, not be revisited again, and we not be subject to future reductions by the Landmarks Commission — they are notorious for that," Brenneke said. "We've got one commission already come out in opposition, the BPS is opposing it so it's controversial, but the neighborhood wants it, and it's housing! We are in a crisis, aren't we in an emergency? The neighborhood wants it." Chinatown doesn't have a plethora of market-rate housing; it has long been saturated with affordable housing and social services rather than business development stimulants. "As a developer it's critical to me, I can't spend money like that, I've got to determine its feasibility pretty quickly," Brenneke said. "I can't go $1 million down the road and have something not go right with the City. No thanks, I don't need that." Block 33 height amendments return to City Council for a vote on April 4. Read more about Block 33 here. CORRECTION: An earlier version of this story incorrectly reported how many OTCCA members signed the letter. It was 10.